Are you looking for a Ford dealer near me? Look no further than Smith Ford! At our Ford dealership in Conway, AR, we can help you with all your automotive needs. 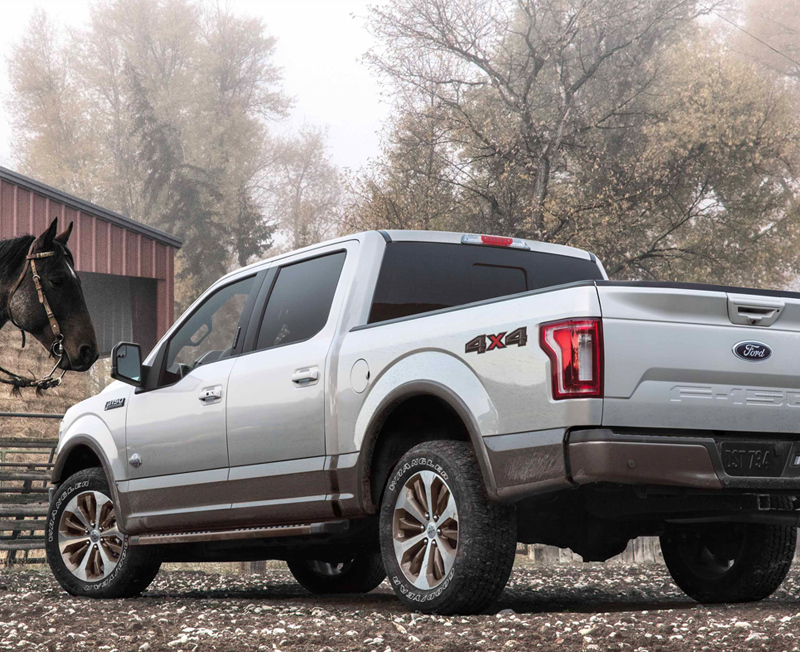 If you want to buy a new Ford truck, buy a used vehicle or need to schedule Ford service in Conway, you can trust the Smith Ford team to help you every step of the way. Make the trip to Smith Ford in Arkansas and enjoy a top-of-the-line dealership experience! If you’re in the market for a new Ford truck, SUV or sedan, you can find the one you love at our Conway, AR, Ford dealership. Want a new, fuel-efficient car? You can buy a new Ford Focus or new Ford Fusion and ride for miles on end. We have family-friendly Ford SUVs for sale, too, such as the new Ford Explorer or Ford Escape. And for those who need a new truck in Conway, you can buy a new Ford F-150 or Ford Ranger pickup when you stop by our Arkansas Ford dealer. Buy or lease a new Ford at Smith Ford today! When you search for Ford service near me, know that you can schedule Ford service at Smith Ford in Conway. 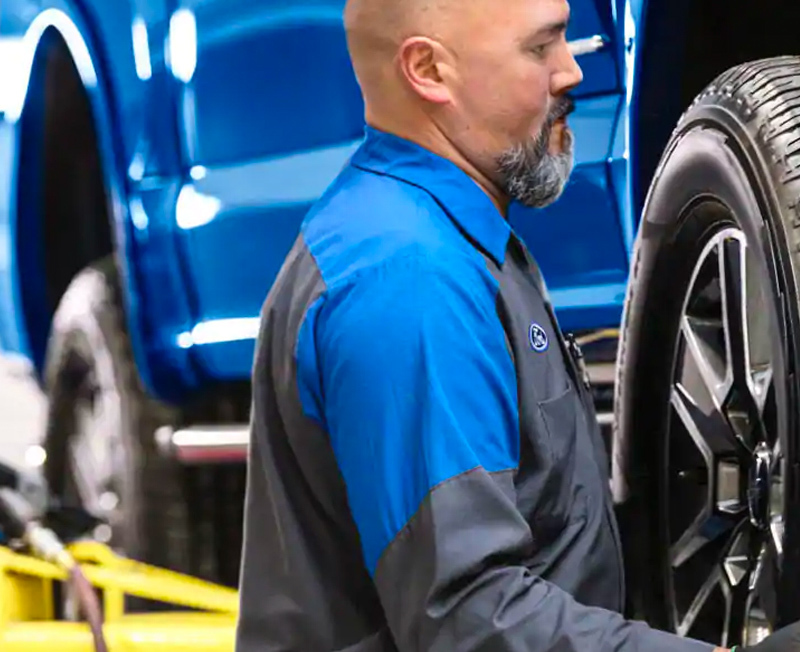 We employ certified Ford service experts who know your vehicle inside and out, so you can trust that we’ll take care of your Ford car, truck or SUV. Need a Ford oil change or tire rotation? Or does your vehicle need more extensive Ford maintenance? Head over to the Smith Ford service center for all your auto repair needs. 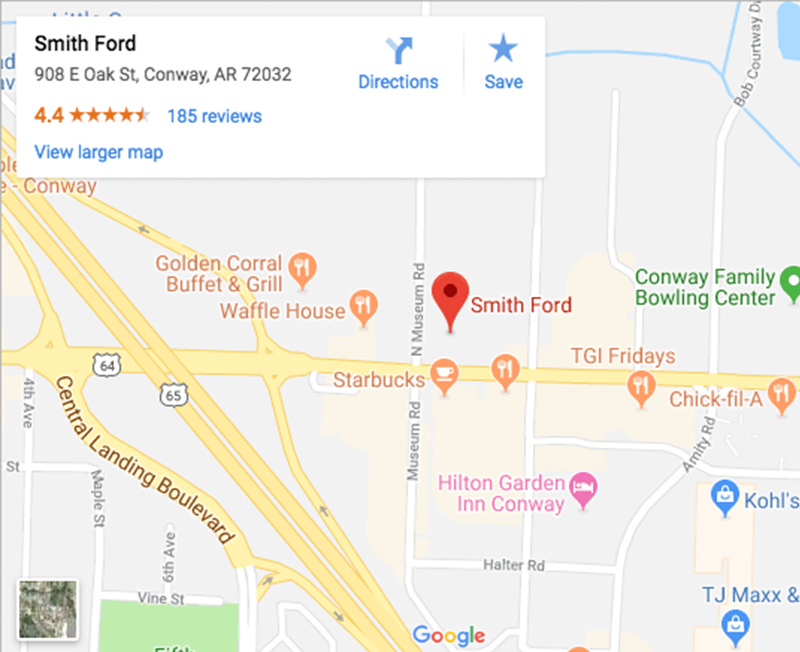 Smith Ford is located at 908 E Oak St in Conway, AR. Whether you’re coming from Conway, Little Rock or beyond, it’s easy to get to our Arkansas Ford dealership. Make the trip today to buy or lease a new Ford or for Ford service and repairs!